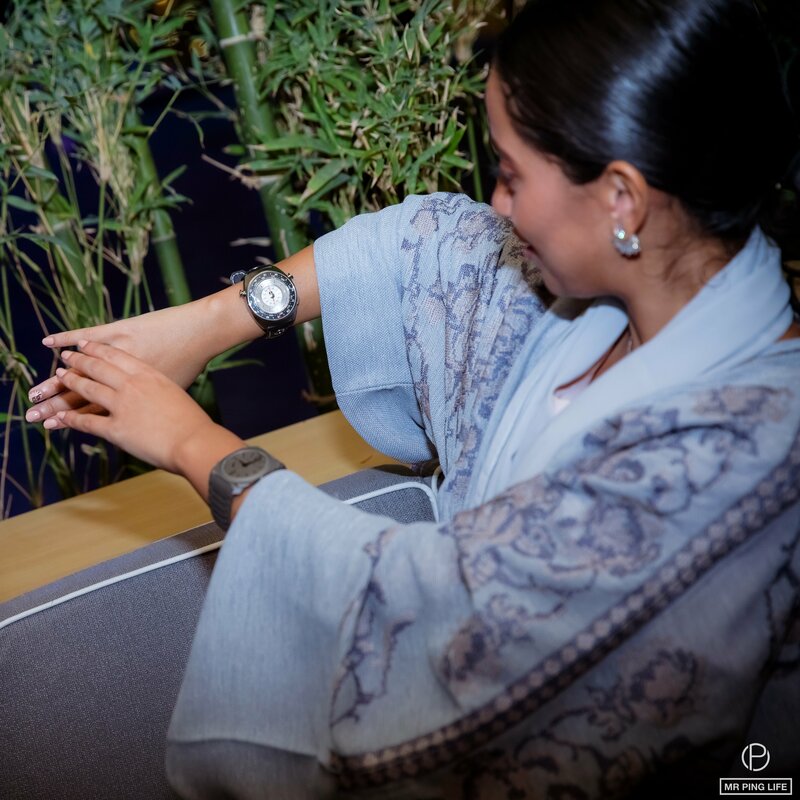 On November 19, our Mr. Ping Life Cigar World Tour Dubai Watch Week Edition took on a Italian flair with Bvlgari Watches, for a gentlemen’s evening of design, fine watchmaking and cigars. 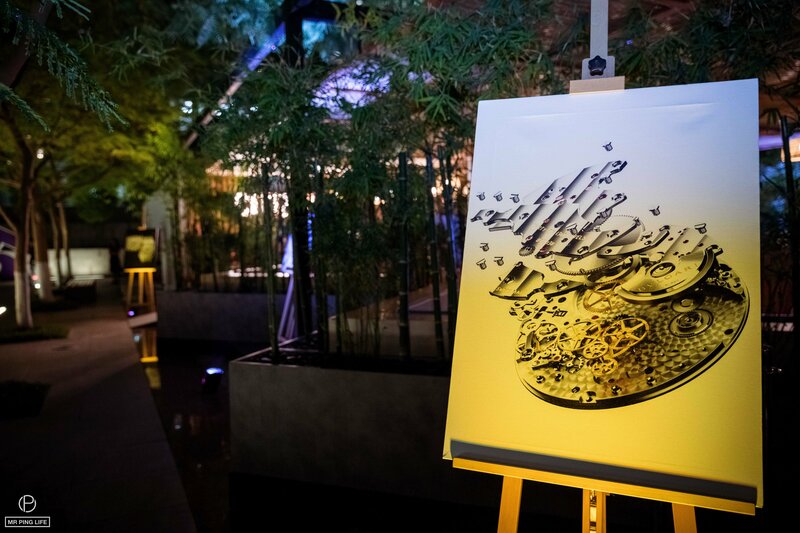 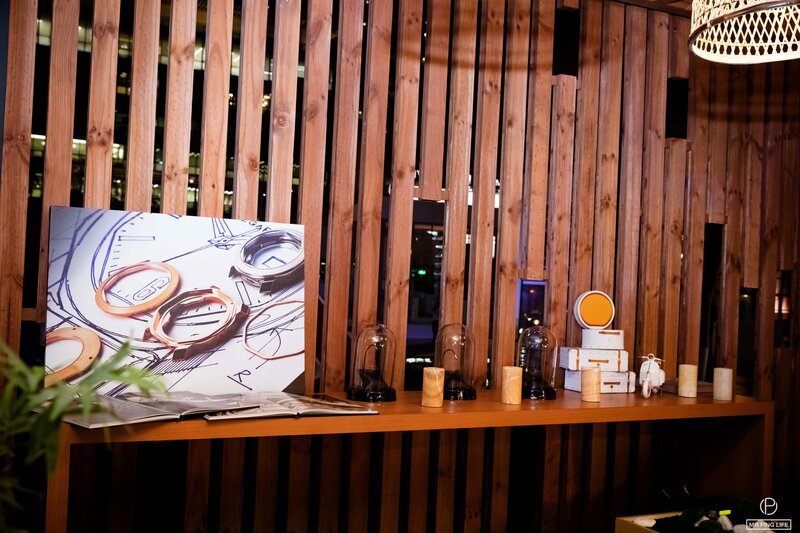 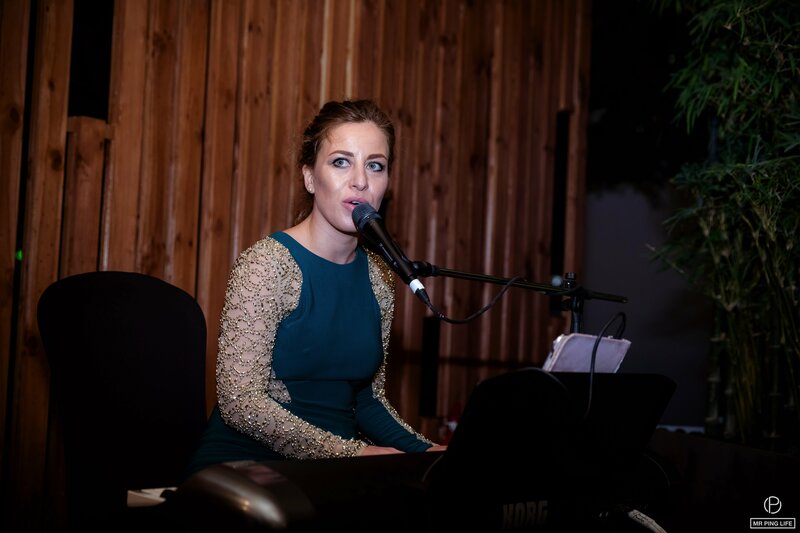 Senior Director for Watch Design at Bvlgari Fabrizio Buonamassa and the Bvlgari Dubai team welcomed guests at DWW’s Citizen Kafé with a warm benvenuto, to a medley of Italian classics and contemporary pop songs. 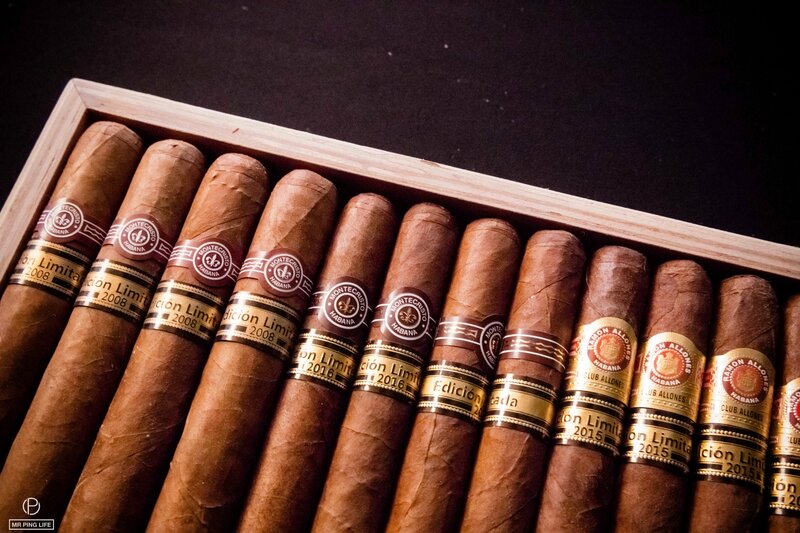 The evening featured Montecristo Sublimes Edición Limitada 2008 and 2016 and Ramón Allones Short Perfectos Exclusivo Italia cigars. 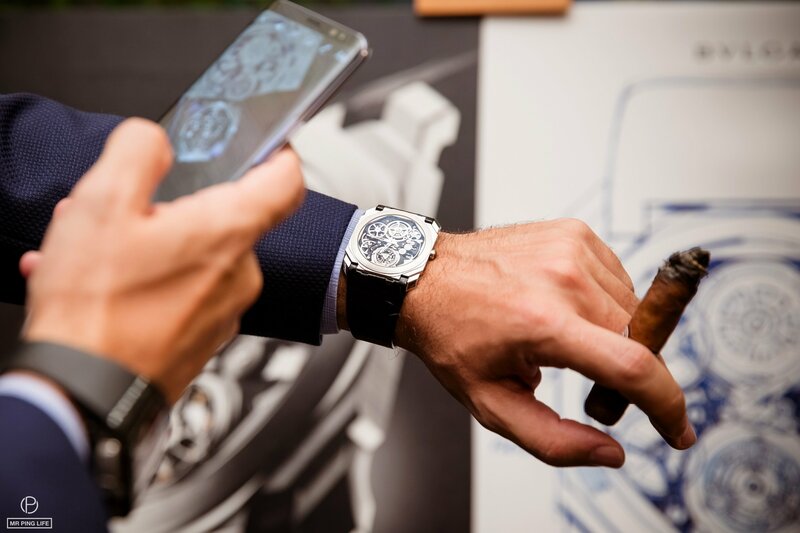 A live cigar-rolling experience allowed a comparison between the worlds of cigar making watch craft: just like every component of a Bvlgari watch is assembled, adjusted and decorated by hand, cigars are made by hand, from picking the tobacco leaves out of their fields; separating, moistening and shredding them; to trimming, glueing and filling the binder leaf, up to molding the cigar. 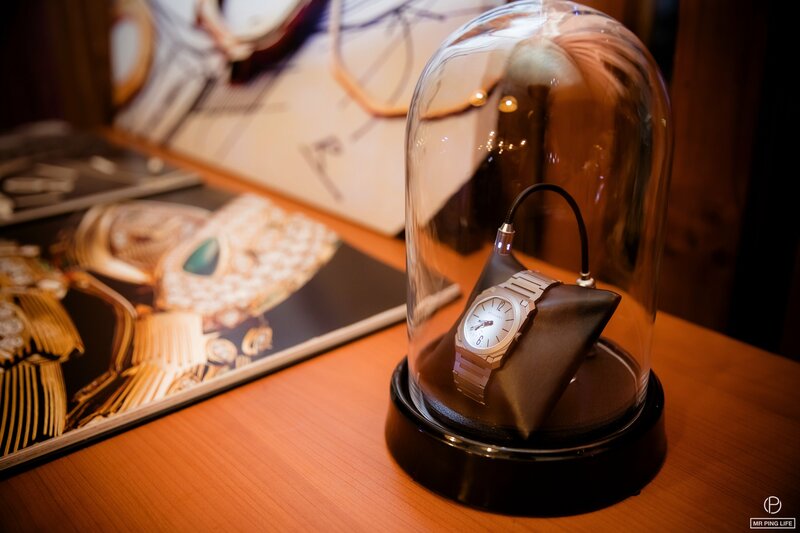 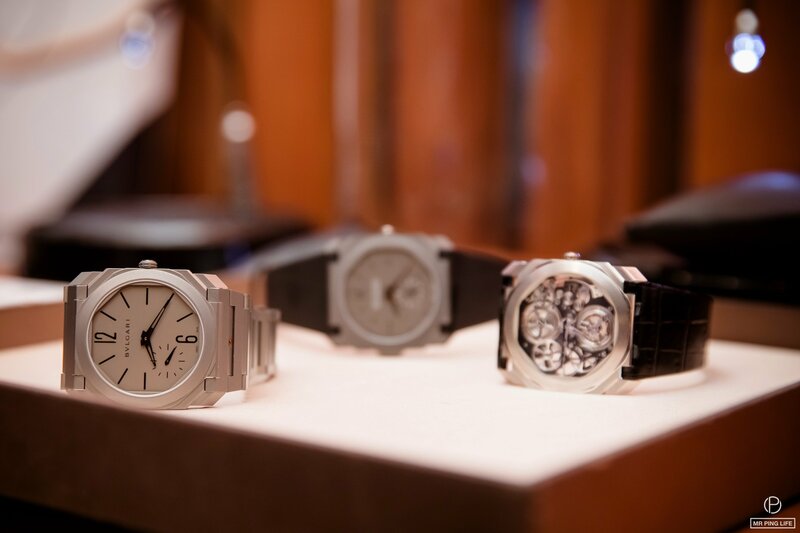 The Maison’s craftsmanship was showcased in the complicated timepieces on display: chiming watches, ultra-thin calibers and tourbillons. 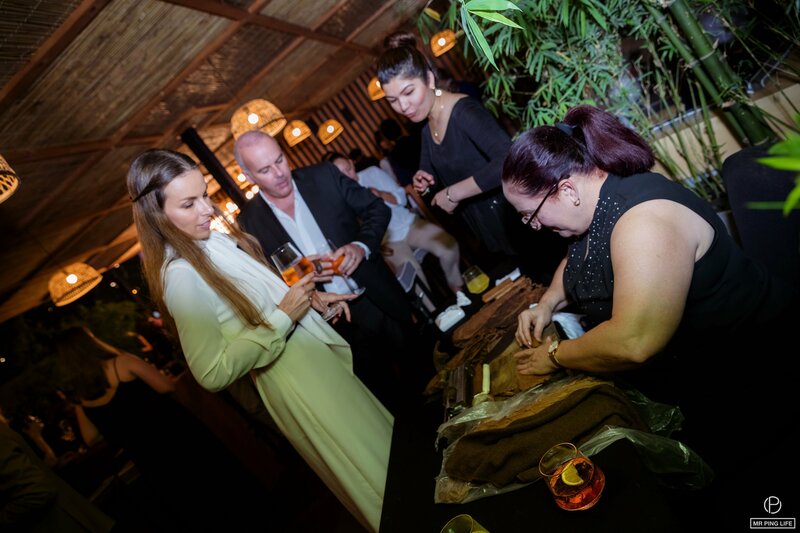 Guests left with leather cigar pouches containing a small surprise: a Hoyo de Monterrey Epicure No. 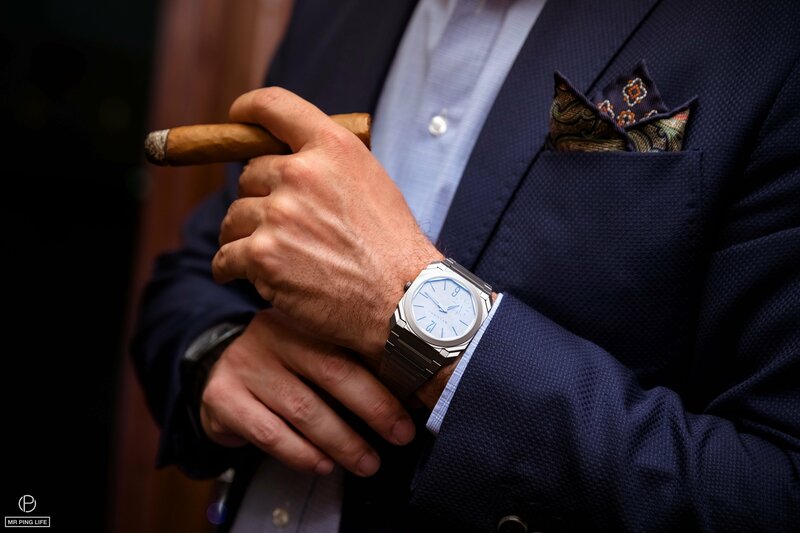 2 and a smooth Partagas Serie D No.4 Robusto that they would later enjoy while reminiscing about this pleasant evening.